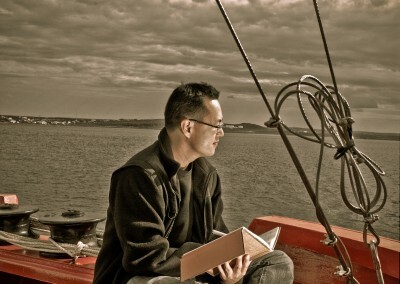 In the summer of 2008, I was offered the opportunity to visit the Arctic region as part of an “Artist on Board” program through the Circumpolar Flaw Lead Systems Study organization (CFL). I was taken on board a state-of-the-art research vessel, The CCGS Amundsen, where I was introduced to the studies conducted by many of the world’s leading climate change scientists. I was also taken to many indigenous communities to learn about their culture and how the current state of the environment has impacted their way of life. 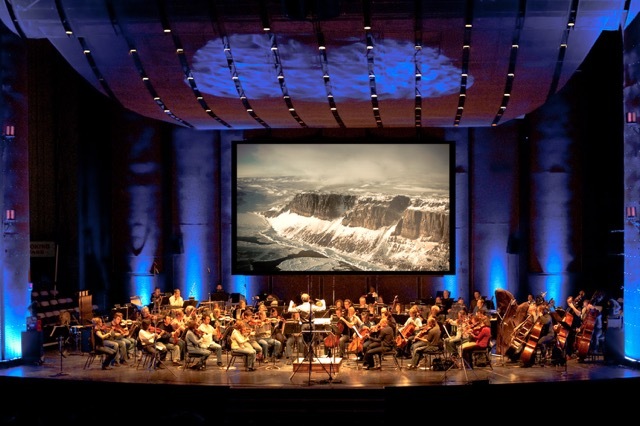 The goal was to provide me with first-hand experience of the Northern region while gaining a better understanding of climate change (from both the scientific and the cultural perspective) so it may inspire the composing of a large-scale symphonic work. During my limited time there, I spent my days and nights observing the landscape. Though the information given to me from the scientists and indigenous communities was invaluable in broadening my perspective, I ultimately felt that the musical work had to be my own interpretation of the region. Writing it from any other perspective (let it be from the scientists’ or aboriginal point of view) would be creatively disingenuous and unrepresentative of my connection to the North. As well, I found myself developing a spiritual connection with the environment, and for good reason: I was in a vast open area; I was constantly being subjected to the environmental conditions of the region; and I was continually surrounded by nature’s angelic beauty, untouched by utilitarian society. I therefore felt that the music needed to express this spiritual connection I had formed with the land. The work is written in five movements. 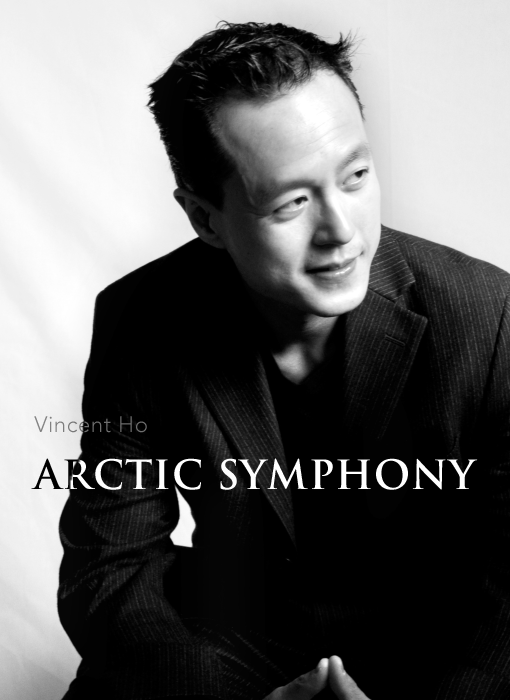 For the first movement, I. Prelude – Lamentations, I wanted to open with the sense of wonder and enchantment that I felt when I first arrived in the Arctic. To convey this, I decided to compose a very simple harmonious chorale for the strings (Prelude) so it may invite the listener into the world that I walked into. The next section takes a different turn (Lamentations). After learning about some of the things that were occurring to the Northern environment and their ramifications, I thought to myself “if the land could sing what would it say or sound like?” This thought process led me to the creation of an emotion-laden song without words (conveyed primarily through the strings). For every emotional statement and sorrowful cry, the sounds of cascading harmonies and free-floating melodies drift in and out like Northern winds. The second movement, II. Meditation, captures the tranquility of the north and the spiritual connection I made with the region. The meditative nature of its quiet stillness and the beauty of its landscape left a profound impact on me, leading me to reconnect with nature on completely new level. Being that much of the region has been untouched by human civilization, I was in awe of the incredible land formations that were shaped uninterruptedly over the past millions of years. While I was on the ship, The Amundsen, I felt like a kid in a candy store for the very first time. To be on a state-of-art research vessel surrounded by many of the world’s top climate change scientists was an exciting adventure for me. I wasted no time exploring every area I could find and meeting everyone along the way. From the engineering room to the main deck, to the cafeteria to the science labs, I left no place unexplored. For the third movement, III. Aboard the Amundsen, I wanted to musically re-create this environment that I was in by simulating the sounds that surrounded me: the driving rhythms of the engines, the motoric pounding of the machinery, the clanging collisions of the industrial equipment, etc. For the fourth movement, IV. Nightfall, I wanted recreate the environmental conditions of the Arctic as I had experienced during nightfall. 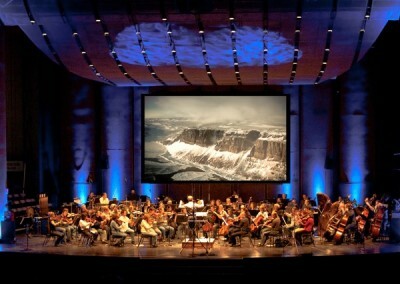 The orchestra is used percussively to convey sounds normally associated to nature: gusting winds, distant howls, pattering of water, etc. The opening captures the chaos of a wind storm but this slowly settles into a gentle breeze as night falls over the land. As everything comes to quieter calm and peace has finally arrived, a melancholy chorale is heard in the distant (performed by a string quartet) to finish the evening off with a musical prayer. 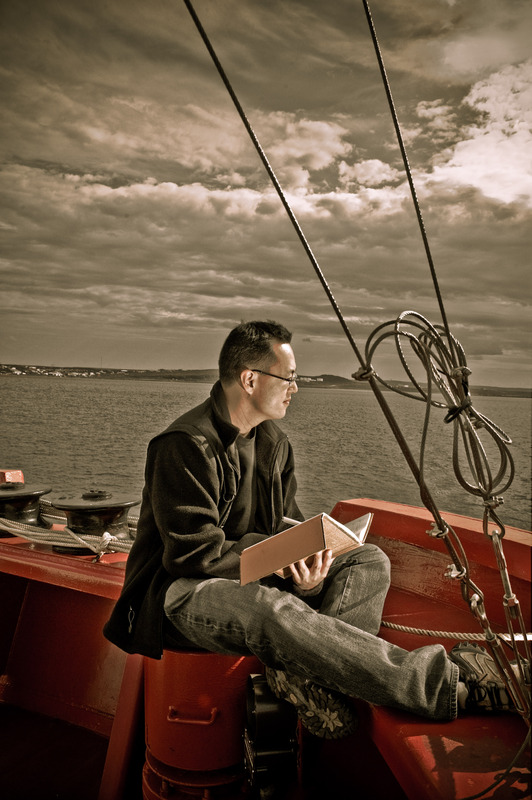 When I visited the Inuit communities, I was introduced to the art of throat-singer. This is a cultural staple in this region and one that has been practiced for thousands of years. My exposure to it inspired me to transcribe some of the songs I heard into Western notation form. This led to the creation of musical materials that embody many of its characteristics but are presented in my own musical language. As well, throughout my trip I was fascinated to see how the scientists and elders would meet to share their valuable information, each from completely different angles: one was scientific while the other was cultural (or modern versus traditional knowledge). Though their experiences and relationship with the Arctic came from differing perspectives, the one thing they did share was a concern for the region’s plight. Thus, for the last movement, V. O Glorious Arcticus – Postlude, I aimed to bring two worlds together in musical form. The music combines elements of the Western world (such as chorales, major/minor tonality, counterpoint, etc.) with those of the Northern world (“throat-singing” motifs, pentatonic harmonies, rhythmic cell structures, etc.). In many ways, this movement captures the wondrous experience I had in the Arctic with representatives of the two different worlds as my guides. Order score and parts here. On board the Amundsen. 2008. 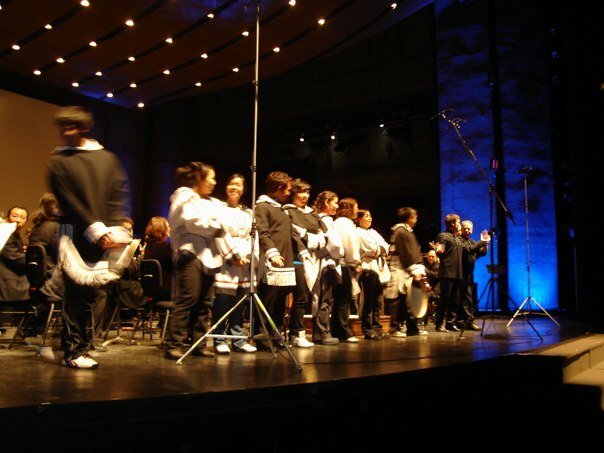 Winnipeg Symphony Orchestra, The Nunavut Sivuniksavut Performers. February 2010. 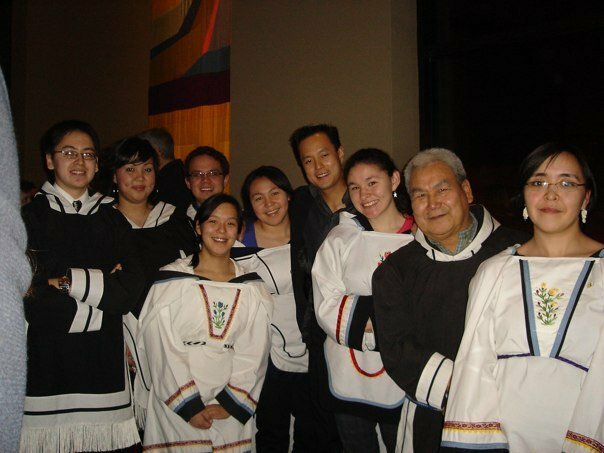 With the The Nunavut Sivuniksavut Performers. 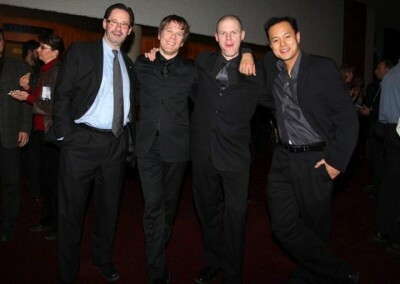 (LtoR) Steven Stucky, Alexander Mickelthwate, Derek Charke, Vincent Ho.